Playing free online horse racing contests can be a great way to learn how to bet without staking any money. And once you have the hang of it – and have dominated a few contests with your horse handicapping skills – it’s much easier and more comfortable to sign up to play for real in the racebook. Here at USRacebook.com, we believe in the concept of learning and having fun before making that next step. Therefore, we partnered with long-time horse contest site TrackChampion.com to bring fun, free contests to USRacebook visitors and customers. In each contest, the site chooses a key weekend of racing and focuses on a full day or racing. They post the racing entries, the morning line odds and challenge contestants to make picks on all the races. They also allows participants to make comments based on their handicapping of each race and to show everyone the consensus picks for each race so they can ‘go with the flow’ and follow the mainstream betting or pick against the crowd. Typically, they offer $500 to $1000 per contest in real prize money (paid out as betting accounts at your favorite online racebook). So in addition to playing a fun contest, learning how to bet and getting bragging rights when you win, you can also pocket free cash in the racebook to bet some of those races for real! 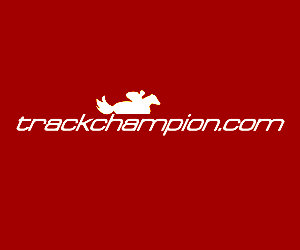 So check out the free horse racing contests at Track Champion. They normally offer weekly contests in the run-up to the Kentucky Derby and more throughout Triple Crown season and Breeders’ Cup. You can also visit the forum at TurfnSport.com where hundreds of veteran horse bettors hang out, talking about the contests and other industry news. Between the contests and the forum, it’s the best way for a new horse racing fan to learn about the industry in general and racebook wagering specifically. Even hard-core, veteran horseplayers can find of plenty of value in the contest and the forum discussion.